In 1928, two aspiring builders from Ningbo – Godfrey Yeh and Johan Zee – co-founded Hsin Heng Construction in Shanghai and quickly made a name in the industry with projects such as the famous Chien-tang River bridge in Hangzhou. After the outbreak of the Sino-Japanese War, Yeh moved to Hong Kong in 1939 to establish Hsin Chong Construction, which became one of the leading construction firms in the city and remained in his family control until 2007. Zee also moved Hsin Heng to HK after 1949 and quickly established himself as a major player for private and public works. Godfrey Kan-nee YEH (葉庚年, 1900-1988) was a distant cousin of the famous 19th century tycoon Yeh Cheng-chong (葉澄衷, best known for distributing Standard Oil) and graduated from the Chung Hsin School in his native Ningpo which was founded by his prominent relative and headed by his own father. He continued his studies at the St. Francis Xavier College in Shanghai and first came to HK to study civil engineering at the University of Hong Kong. Due to lack of funds, he had to drop out after 2 years and returned to the mainland where he secured a government job in Yantai. But having studied civil engineering, his heart was in construction and pooling his own savings and with support from his father in law who was a wealthy lumber merchant he returned to Shanghai to start a construction hardware supplies store and then went on to co-found Hsin Heng Construction in 1928 with Johan K. Zee which was quite successful by the outbreak of the Sino-Japanese War in 1937. In the early years of the War, Yeh assisted the KMT military command in constructing an arms factory in Changsha in Hunan province and also helped transport much needed resources to the inland, but eventually he decided to move to Hong Kong to start Hsin Chong & Co in 1939 given his familiarity with the colony since he had spent two years there as a student almost two decades earlier. Given the shortage of skilled construction workers in HK at the time, Yeh brought over hundreds of skilled workers from Shanghai and quickly established himself in South China with contracts including the Bank of China branch in Canton. In HK, one of his first assignments was constructing the Great China Match factory on Peng Chau island for the Shanghainese industrialist O.S. Lieu (whose wife was a Yeh). When the Japanese occupied HK, Yeh shut down his business rather than working for the occupiers. After the War, he built a series of four story apartment blocks on Fort Street in North Point developed by Lee Sai-wah and seven story apartment blocks on MacDonnell Road. One of its first major government contracts was the Colonial Secretary’s residence – the Victoria House – in 1950 and the then Colonial Secretary Sir Robert Black (later Governor) was very pleased with the final product. From day one, the firm lived by its corporate motto – “Quality and Service”. This led to major public works projects such as tunnel work for the Plover Cove Water Scheme in 1960 and Kai Tak Airport Passengers Terminal in 1963. 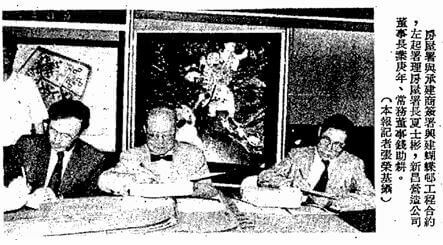 In 1958, Godfrey became the second Shanghainese to join the board of HK Building Contractors Association after Paul Tso. He also co-founded United Builders Insurance with Ho Iu-Kwong of Fook Lee Construction and other building contractors. The 1960s also saw many private sector works for Hsin Chong including two properties of the Hotung family – Tung Ying Building (now The One) and J. Hotung House (now Hankow Centre) in Tsim Sha Tsui, Li Po Chun Chambers in Sheung Wan, Shaw Studios in Clearwater Bay, the Sincere department store in Mongkok, the Dragon Seed department store in Central and Shui Hing department store in Tsim Sha Tsui. However, the biggest project for Hsin Chong during the decade was Mei Foo Sun Chuen, the largest residential project in the world at the time developed in 1967 by Mobil Oil on its former oil depot in Lai Chi Kok with assistance from American developer Galbreath-Ruffin and Turner Construction. Hsin Chong was responsible for constructing 44 residential towers of the 99 in the project – totaling 5900 units. 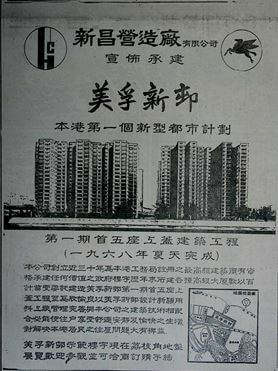 Hsin Chong advertisement in 1967 announcing Phase 1 of Mei Foo Sun Chuen. The money earned from construction enabled Yeh to diversify into property development, shipping, insurance and banking (with a sizeable stake in Dah Sing Bank where he served as vice chairman). 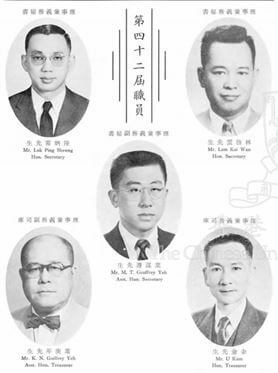 In 1972, Hsin Chong Holdings (HK) Ltd became a publicly listed company and two years later Godfrey went into semi-retirement and passed the baton to his three sons – David Yeh Mou-chang (葉謀彰, 1920-2004), Darius Yeh Mou-deh (葉謀迪, 1929-) and Geoffrey Yeh Mou-tsen (葉謀遵, 1931-2016) and his long time lieutenant Chien Chu-keng (錢助耕) who served the group for almost half a century. (His son Philip Chien 錢重光 also worked for Hsin Chong but later started Sanfield P. Chien with SHKP subsidiary Sanfield which built the Caroline Centre in Causeway Bay). Having joined the family business in 1955 after receiving civil engineering degrees from the University of Illinois and Harvard, Geoffrey was the driving force behind the growth of the group in the 1960s and 70s and ultimately succeeded his father as chairman. In the 1970s, Hsin Chong took on a large number of private and public housing projects. 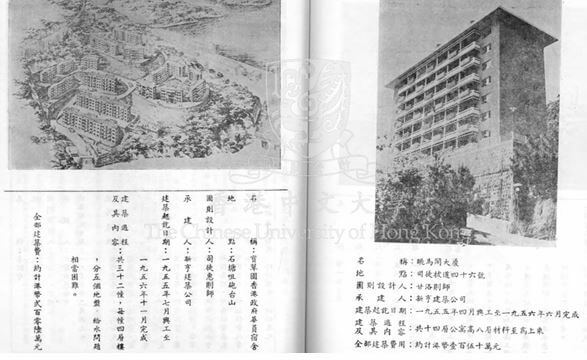 It was also involved in the construction of the United Christian Hospital in Kwun Tong (1973), the Sheraton Hotel in Tsim Sha Tsui (1974), the World Trade Center in Causeway Bay (1975) and Ocean Park in Aberdeen (1976). In 1980, Hsin Chong completed the Worldwide House in Central and Sui Wo Court in Shatin, one of the first Home Ownership Schemes developed by the government. In December of the same year, the group’s property arm Hsin Chong Properties was listed and the group moved aggressively into property development (e.g. the multi-billion dollar residential project next to the Tai Tam Reservoir which ultimately became Parkview). Unfortunately, the property market turned south during the confidence crisis in the mid-1980s and to lighten its debt load, Hsin Chong Properties was sold to the Allied Group in 1986. With the assistance of Geoffrey’s son V-Nee, Hsin Chong Holdings was privatized and the construction business was re-listed as Hsin Chong Construction Group Ltd in 1991. In the 1990s, Hsin Chong participated in a number of large scale projects such as the HKUST campus (which Geoffrey was a founding court member of), Chek Lap Kok International Airport and re-development of the KCR terminal in Hunghom. The firm weathered the short piling scandals in the late 1990s and in 2002, V-Nee succeeded Geoffrey as chairman. In 2004, Hsin Chong expanded into Macau and served as construction manager of a number of the new casinos. In 2007, the Yeh family sold their controlling stake in Hsin Chong Construction to the Mission Hills Group. 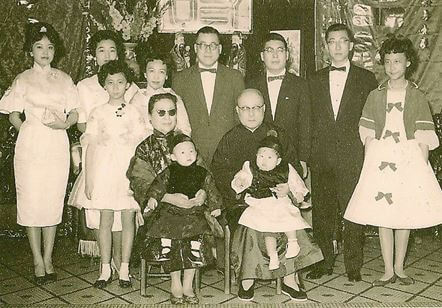 Outside of managing the family business, the three generations of the Yeh family contributed to HK society in different ways. Godfrey served as the 24th president of Kiangsu-Chekiang Residents (HK) Association (its Kiangsu Chekiang College in Braemar Hill was completed by Hsin Chong during his term) and established the KN Godfrey Yeh Education Fund in 1980 which has supported over 4400 HK students over the years. Geoffrey introduced many innovations to the HK construction industry and chaired the Construction Industry Training Authority from 1975 to 1987. He was also chairman of the HK Futures Exchange from 1998 until its merger into HKEx in 2000. Trained as an investment banker, V-Nee established a number of successful fund management companies in HK and also served on the Executive Council of the HK Government from 2009 to 2012. Today the family continues its philanthropic efforts through the Yeh Family Philanthropy with a focus on education and social impact. Johan K. Zee (徐鉅亨1904-1991) was a native of Ningbo and attended St John’s in Shanghai. The “Heng” in Hsin Heng came from the last character of his Chinese name. Soon after its establishment in 1928, Hsin Heng & Co (新亨營造) landed a number of major contracts. In 1931, the firm was awarded a $750,000 contract to build wharves, offices, residences and factories for the American oil giant Texaco on Gough Island in Pootung (now Pudong). The next year, it completed an 8 story building for the Shanghai Municipal Council at the cost of $350,000. In 1933, came two major bank projects in Nanking – the Bank of China Nanking branch building designed by Luke Him-Sau and the Bank of Communications Nanking branch building designed by architect Miao Kay-pah (缪凯伯), both of which were completed in 1934. Aside from being a contractor, Hsin Heng also embarked on his own property development and built the 6 story Kinnear Apartments (開納公寓,now Wuding Apartments) on Kinnear Road in Shanghai in 1934 at the cost of $200,000. The apartment building, which counted the author Eileen Chang as a tenant in the late 1930s, provided Hsin Heng with steady rental income and was also designed by Luke Him-sau. Luke was a popular architectural design partner of Hsin Heng since he also worked with them on the Post, Telephone & Telegraph building in Nanchang and Telephone Building in Chengdu and his architectural career continued in HK after the War. Another property owned by Hsin Heng was the 3 story Yuyuan Fang(愚園坊). In 1935, Hsin Heng won the $1 million contract to construct the third dock for Kiangnan Dock in Shanghai and the $800,000 contract for the South approach of the Chien-tang River bridge in Hangzhou. This was the first modern bridge in China designed and built by Chinese – the structural engineer was the renowned US trained Dr. Thomson Eason Mao (茅以昇). Zee came to Hong Kong in 1949 where Hsin Heng Construction (新亨建築) quickly established itself as a contractor for public and private projects. One of his lieutenants in the early 1950s was John Lok, best known for being the contractor for the Sir Norman Foster designed HSBC building in the 1980s. In 1961, Zee was a director of the city’s leading Chinese charitable organization – Tung Wah Group of Hospitals. In 1991, he died in Vancouver at the age of 87. One of his wives was an actress and their son Father George Zee (徐志忠) was the Supervisor of Wah Yan College Kowloon. Two of his other children are married to children of Kwok Lam-po, chairman of the Wing On group – Linda Zee (徐志姮) to architect Arthur Kwok (郭志舜) and Leo Zee (徐志樑) to Genevieve Kwok (郭志璧). This article was first posted on 3rd February 2017.